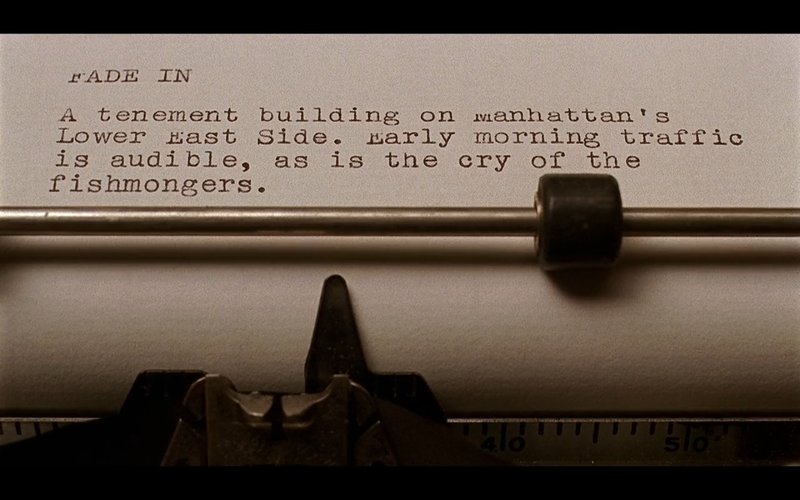 Once he’s ensconced in that ominous room at the Hotel Earle and charged by an inexplicably fawning studio exec with the task of churning out a script that will deliver “that Barton Fink feeling,” Barton embarks on a process so many writers experience, in miniature, every time we’re on deadline. The obdurate, set-in-stone first paragraph that will yield no further wisdom no matter how long we stare at it (and that, if we had the perspective our readers do, we would realize sounds suspiciously like the last opening we wrote). The importuning neighbor (John Goodman as the jolly yet obscurely menacing Charlie Meadows) who drops by for a friendly nip of hooch and winds up making off with our time, our inspiration and possibly — or so it’s suggested in “Barton Fink’s” violent third-act conflagration — our soul. The bitter acceptance of our own fraudulence, flowing in a continuously alternating current with the grandiloquent conviction that this time, by gum, we’ve broken the whole thing wide open. There are films about writers — Jane Campion’s luminous Keats biopic “Bright Star” comes to mind — that capture the potential of literature to distill the essence of a human life (it helps when the writer’s words really are sublime, and as well used and understood by the filmmaker as Keats’s are by Campion). But “Barton Fink” is remarkable for just the opposite: its wicked, earthbound honesty about both the sinkhole of authorial self-obsession and the often sub-sublime results of those triumphant typing montages. The movie’s first, more realistic section is separated from its oneiric second half by a spectacular tracking shot that dives down the drain of a hotel sink, symbolizing the hero’s descent into damnation, madness or both. But my first thought every time I see that camera go down the drain is: Well, so much for that deadline. Anthony Lane’s review of a controversial new movie. There are four new movies that have been well-reviewed and have got me excited to go the theater. They are Captain Phillips, Gravity, 12 Years a Slave, and All is Lost. Oscar time came early this year, huh? 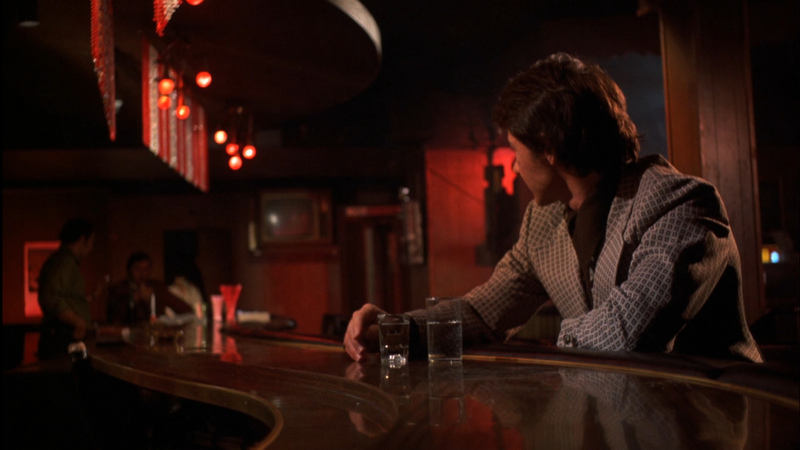 Over at Cinemanerdz check out this lift of 15 great neo-noir movies. Allen Barra on Literary Bond vs. Movie Bond. Steven Spielberg’s 1975 thriller Jaws is commonly regarded as the first summer blockbuster and as a result, the movie that lead to the death of the creative boom of “New Hollywood” in the late 60s and early 70s. Its influence on not just the movies that followed in its wake, but also the marketing, business and making of movies is incalculable. However, even among film fans who bemoan the changes that the massive success of Jaws brought on, it’s hard to find anyone who dislikes the movie itself. Unlike many sudden cinema phenomena, Jaws has had remarkable staying power, enchanting and scaring the wits out of audiences via cable TV and home video ever since owning the box-office in the summer of ’75. I recently read Peter Benchley’s novel of the same name for the first time, and I was eager to watch the movie again, comparing and contrasting what was kept, what was changed and what was completely eliminated for the screenplay, written largely by Carl Gottlieb (who also appears in the film as Meadows, the editor of the Amity town newspaper), with help from Benchley and uncredited work by playwright Howard Sackler, John Milius and Jaws co-star Robert Shaw. The novel Jaws was better than I’d expected it to be, but the screenplay and movie are a vast improvement. 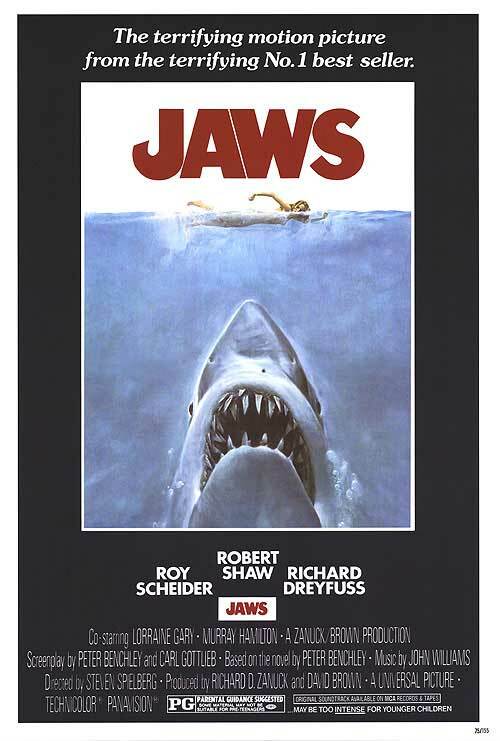 It’s easy to jump on the obvious reasons the movie worked in ’75 and still works now – terrific performances by Roy Scheider, Richard Dreyfuss, Murray Hamilton and especially Robert Shaw, John Williams’ memorable score, Spielberg’s taut direction. Other reasons the film became a classic are less obvious, but no less important. The technological limits of the mid 70s meant that we didn’t see much of the shark. There was no CGI, and the mechanical shark was rarely functioning properly during the shoot. The happy result is that the moments when we do actually see the shark make a huge impact and still make people jump in their seats. Spielberg has said that if he’d made the movie 30 years later, he would have used new technology, we would have seen a lot more of the shark and the resulting movie, by his own admission wouldn’t have been nearly as good. The audience relies on Williams’ score, POV shots of swimmers and clever visual cues like the floating barrels to let us know that the shark has returned to wreak havoc. Another element that keeps the movie from being a staid, formulaic monster movie is Spielberg’s insistence on shooting on Martha’s Vineyard and on the Atlantic Ocean instead of in Hollywood. The Jaws shoot took over the island for months and incorporated many locals into the cast, not only as extras, but in key speaking parts as well. The organic small-town America feel of Amity Island would have been lost on the Universal lot. The film plays upon primal human fears; not simply that there are beasts in the wild who can kill and maim us when we least expect it, but also more mundane fears about losing our businesses, losing our standing in a community or within our family. It’s also simply a hell of a lot of fun. If you haven’t seen it in years, or if you’re like me and can quote random lines from the movie at will, or if for some strange quirk of fate you’ve never seen Jaws, the new Blu-ray edition comes highly recommended. Nick Charles drinks steadily throughout the movie, with the kind of capacity and wit that real drunks fondly hope to master. When we first see him, he’s teaching a bartender how to mix drinks (“Have rhythm in your shaking … a dry martini, you always shake to waltz time”). Nora enters and he hands her a drink. She asks how much he’s had. “This will make six martinis,” he says. She orders five more, to keep up. Directed by the whirl-wind W.S. Van Dyke, the Dashiell Hammett detective novel took only 16 days to film, and the result was one of the most popular pictures of its era. New audiences aren’t likely to find it as sparkling as the public did then, because new audiences aren’t fed up, as that public was, with what the picture broke away from. It started a new cycle in screen entertainment (as well as a Thin Man series, and later, a TV series and countless TV imitations) by demonstrating that a murder mystery could also be a sophisticated screwball comedy. 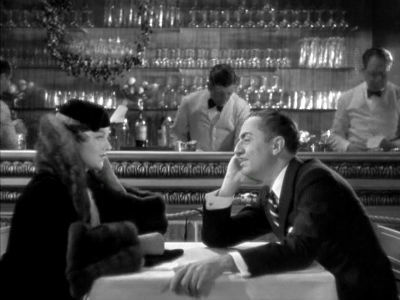 And it turned several decades of movies upside down by showing a suave man of the world (William Powell) who made love to his own rich, funny, and good-humored wife (Myrna Loy); as Nick and Nora Charles, Powell and Loy startled and delighted the country by their heavy drinking (without remorse) and unconventional diversions. In one scene Nick takes the air-gun his complaisant wife has just given him for Christmas and shoots the baubles off the Christmas tree. (In the ’70s Lillian Hellman, who by then had written about her long relationship with Hammett, reported that Nora was based on her.) A married couple, Albert Hackett and Frances Goodrich, wrote the script; James Wong Howe was the cinematographer. The cast includes the lovely Maureen O’Sullivan (not wildly talented here), the thoroughly depressing Minna Gombell (her nagging voice always hangs in the air), and Cesar Romero, Porter Hall, Harold Huber, Edward Brophy, Nat Pendleton, Edward Ellis (in the title role), and a famous wirehaired terrier, called Asta here. Warning: There’s a lot of plot exposition and by modern standards the storytelling is very leisurely. Produced by Hunt Stromberg, for MGM. It’s the most cheerful drinking movie ever and one that is still a pure joy. 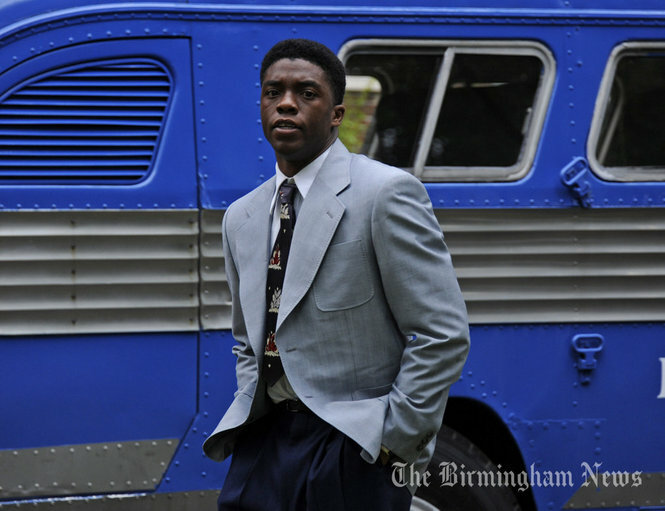 The Iceman Cometh is a great, heavy, simplistic, mechanical, beautiful play. 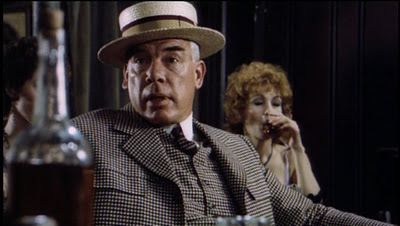 It is not the Eugene O’Neill masterpiece that Long Day’s Journey Into Night, the finest work of the American theater, is, but it is masterpiece enough–perhaps the greatest thesis play of the American theater–and it has been given a straightforward, faithful production in handsome dark-toned color in the subscription series called the American Film Theatre. A filmed play like this doesn’t offer the sensual excitement that movies can offer, but you don’t go to it for that. 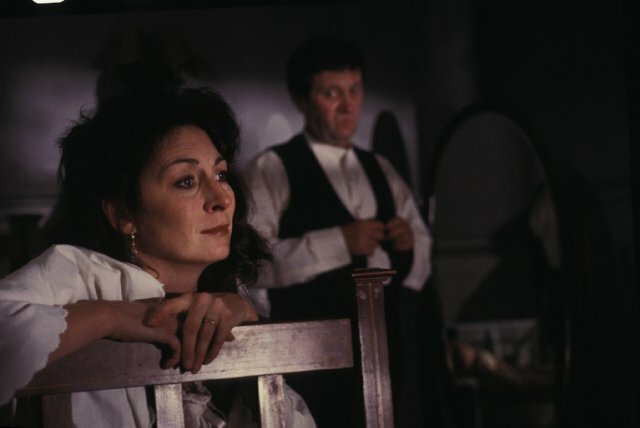 You go to it for O’Neill’s crude, prosaic virtuosity, which is also pure American poetry, and, as with most filmed dramas, if you miss the “presence” of the actors, you gain from seeing it performed by the sort of cast that rarely gathers in a theater. 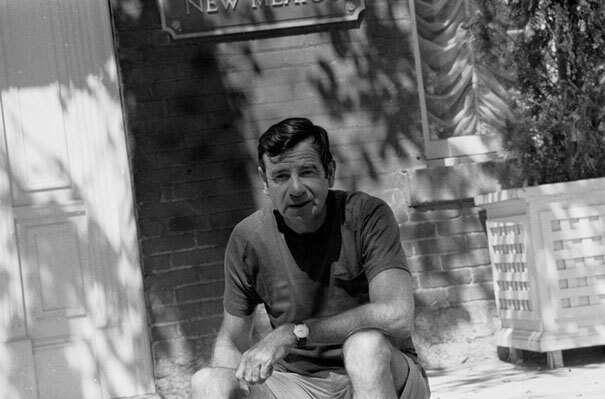 John Frankenheimer directly fluently and unobtrusively, without destroying the conventions of the play. The dialogue is like a ball being passed from one actor to the next; whenever possible (when the speakers are not too far apart), the camera pans smoothly from one to another. We lose some of the ensemble work we’d get from a live performance, but we gain a closeup view that allows us to see and grasp each detail. The play here is less broad than it would be on the stage, and Frankenheimer wisely doesn’t aim for laughs at the characters’ expense (even though that O’Neill may have intended), because the people are close to us. The actors become close to us in another way. Actors who have been starved for a good part get a chance to stretch and renew themselves. In some cases, we’ve been seeing them for years doing the little thing passes for acting on TV and in bad movies, and their performances here are a revelation; in a sense, the actors who go straight for the occasion give the lie to the play’s demonstration that bums who live on guilt for what they don’t do can’t go back and do it. The announcement that John Huston was making a movie of James Joyce’s “The Dead” raised the question “Why? What could images do that Joyce’s words hadn’t? And wasn’t Huston pitting himself against a master who, though he was only twenty-five when he wrote the story, had given it full form? (Or nearly full–Joyce’s language gains from being read aloud.) It turns out that those who love the story needn’t have worried. Huston directed teh movie, at eighty, from a wheelchair, jumping up to look through the camera, with oxygen tubes trailing from his nose to a portable generator; most the time, he had to watch the actors on a video monitor outside the set and use a microphone to speak to the crew. Yet he went into dramatic areas that he’d never gone into before–funny, warm family scenes that might be thought completely out of his range. He seems to have brought the understanding of Joyce’s ribald humor which he gained from his knowledge of Ulysses into his earlier work; the minor characters who are shadowy on the page now have a Joycean vividness. Huston has knocked the academicism out of them and developed the undeveloped parts of the story. He’s given it a marvelous filigree that enriches the social life. And he’s done it all in a mood of tranquil exuberance, as if moviemaking had become natural to him, easier than breathing. I don’t go for horror movies. Sure, I watched a mess of them when I was a kid–“The Exorcist,” “The Omen,” and “Rosemary’s Baby.” I also saw “Halloween,” and “Friday the 13th,” “The Texas Chainsaw Massacre,” “I Spit On Your Grave,” all that stuff and more. I had a stronger constitution then. Now, I just don’t like being scared. I even worked on a “horror” movie, was the assistant film editor on “The Blair Witch Project II,” although the scariest part of that project was the silence in the screening room after the executives saw the first cut. Scary for the director, I should say, I thought it was pretty funny. Anyhow, horror movies aren’t the only ones that are scary. Heck, you could argue that “The King of Comedy,” is Scorsese’s scariest movie (and that “Taxi Driver” is his funniest). I’ll never forget the final shot of “Planet of Apes,” when I was little and hiding under the covers wondering about the big questions of life. The movie I can’t get over, though, is “Mad Max II,” aka “The Road Warrior.” Scared me as a kid and makes me jittery when I watch it today. It’s a comic book but an effective one. Watch this scene and tell me you don’t get nervous in spite of how silly it all is. In the history of the movies, there are few actors and roles linked as indelibly as Boris Karloff and Frankenstein’s monster. Karloff had been acting in the movies for a decade by the time he donned Jack Pierce’s make-up in director James Whale’s “Frankenstein,” (which debuted 80 years ago this December) but it was the monster that made him a star. In return, Karloff made Universal’s (and Jack Pierce’s) version of Frankenstein’s monster an icon for the ages. Mary Shelley may have created the character in her 1818 novel, but its Pierce’s make-up and Karloff’s portrayal – the flat head, neck bolts, ill-fitting suit coat and heavy platform boots – that dominate the popular conception of him. When Universal Pictures set out to make “Frankenstein,” it was to star Bela Lugosi, capitalizing on his “Dracula” success. However, after a few failed make-up tests, Lugosi left the project. Whale brought in 44 year old character actor Karloff, who created a movie monster for the ages. The monster doesn’t speak in the first Frankenstein film, but Karloff’s performance is a masterpiece of movie acting. Universal Pictures had thought the film would make Colin Clive (as Dr. Henry Frankenstein) a star, but instead audiences took to Karloff’s monster. Karloff’s monster, shuffles and lurches, moans and grunts, smashes and strangles and whimpers in fear. The image of the monster reaching for the light coming through the open ceiling seems to imbue the murderous brute with a spiritual yearning. The most shocking moment comes when the monster drowns a little girl as they play beside a pond. The monster is bewildered and confused that little Maria does not float the same way the flowers they had been tossing in the water had. The movie’s script had taken a turn from Shelley’s novel, attempting to take away any humanity from the character of the monster, to make him a monster that could simply be seen as dangerous and bad and needing to be killed, but somehow Karloff got through to audiences anyway. As the townspeople revel in burning down the old mill with the monster inside, chances are even 1931 audiences were sad to see the monster go. With the release of “Nashville” and “Jaws,” the summer of ’75 delivered both the culmination — and the beginning of the end — of that period. “Nashville” seemed to incarnate a film buff’s hopes for American movies. Here was an artist putting the machinery of popular culture to work for the sake of art, yet entering into the spirit of popular culture and partaking of its energy too. That was the dream: the power of popular art combined with the complexity of fine art, high and low not at war, and not blurred indistinguishably into each other, but embracing. But it was “Jaws” that captured the mass audience and really changed movies. It wasn’t the first big success of the boomer generation, but it was a hit on a scale no one had ever seen before. (Within a month of its release, the stock of MCI, the conglomerate that owned the film company that released “Jaws,” went up 22 points.) 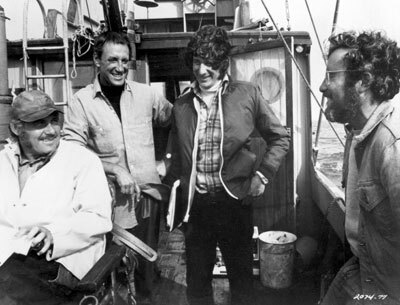 The aftereffects of “Jaws” rattled the world of film from top to bottom: Soon the artists were coming a cropper — Altman spent the rest of the decade creating ever-more-perverse head-scratchers; Coppola spent years on the debilitating “Apocalypse Now,” and seems never to have recovered his energy or concentration; Scorsese tripped himself up making the over-ambitious, epic musical, “New York, New York.” In 1977, George Lucas’ “Star Wars” was released, and the intellectual and art side of filmmaking and filmgoing has been scattered to the four winds ever since. Despite the occasional good movie, the news since has all been about technology, effects, gender, race and business. A young Ivy League graduate I know made a success in arts journalism without ever having seen a Bergman picture. When she finally caught up with one, she was stunned to realize that there’d once been a time when people went to a movie theater to watch characters agonize and philosophize at each other. She hasn’t seen another Bergman since, and she hasn’t gone on to read any Scandinavian literature, or to search out further examples of Swedish films either. In Altman’s “The Player,” a comedy about what has become of Hollywood, a young studio executive is watching his career dissolve, and recovers his momentum only when he learns to stop worrying about integrity and depth. During my lunch with him, Altman observed wryly that one thing he could say for the executives he’d battled in the ’70s was that they cared enough about the work being done to get angry at you, and to hate your movies. Nowadays, when someone takes an idea upstairs for a decision, there’s nothing there but a computer. Watched on videotape today, “Nashville” seems in its element in a way many movies don’t. It’s alive, and it doesn’t suffer from the fragmenting effects of stop-and-start, at-home viewing. This may be because Altman is instinctively drawn to multiple points of view and unresolved resolutions. It doesn’t exactly cohere, but it seems to bring our channel-surfing minds and experiences into some kind of loose relationship. It gives the impression of being a video installation rather than a routine feature; you can get the feeling that it’s playing on several monitors at once. Watching it made me think that one way of conceiving of TV is as movies gone to pieces and turned into wallpaper. It also made me think that an upbeat way of looking at where we’ve arrived is this: We have been freed — perhaps against our will — of our attachment to the idea of art as a rebel activity, a gesture toward freedom made for the sake of the unconscious and revolution. Now it has become simply an activity some people pursue, and perhaps get something out of — as legitimate as (but no more vanguard than) business, cleaning, sports, science and child-rearing. “Nashville,” seen at this distance, looks like a snapshot of the moment when substance began to vaporize into information. There’s a level of sincere humility to the film version of “Moneyball” that might shock those expecting to see it cloaked in arrogance. Next to the question about whether the material in Michael Lewis’ book was viable for a movie in the first place, the most common shot I’ve seen taken at the idea of the film, which I saw a screening of Monday, is “what’s the point?” Because Billy Beane’s Oakland A’s have never reached the World Series, much less won it, why would they worthy of the big screen? Putting aside the fact that this criteria would eliminate about a thousand works of art – “Rocky,” “The Bad News Bears,” “Major League,” the entire history of “Peanuts” – note this well: The Billy Beane of “Moneyball” would share the same question. No one is more acutely aware of the A’s shortcomings than he. But “Moneyball” does have a story to tell, a worthwhile and engrossing one. It is not a sermon. “Moneyball” is about faith in a calculated belief, and all the torment that comes when that faith is tested, and the unexpected kind of reward you can get for taking that test, no matter how it comes out. It’s a movie about a pursuit, not a coronation. It’s anything but a coronation. It’s my belief that, while no movie is universally beloved, this approach opens the door for “Moneyball” to be accepted and enjoyed by those who took the book as a mockery of the game they love, by those who were entertained and embrace what was articulated in Lewis’ book, and by those who have no vested interest in the debate, or even the sport. It’s such a human movie – with Brad Pitt’s Beane a nuanced, multidimensional character, one with many faces – that it’s not easily dismissed. Hell, I just want to see it for Phillip Seymour Hoffman chewing it up as Art Howe. Malick has never shied from grandiosity, and in The Tree of Life more than ever before he risks the humorless and overblown. Into what might in other hands have been the small-scale, melancholy tale—too elliptical even to be called a tale—of the not unusually eventful childhood of a boy in Texas, his two brothers, and his father and mother, he has managed to incorporate the creation of the universe, the origins of life on earth, the age of dinosaurs, and the prospect of future dissolution, with musical accompaniment by the powerful tonalities of Berlioz’s Requiem Mass. But he has made an audacious and magnificent film. The extreme variations of scale are no afterthought in Malick’s scheme. To show the world in a grain of sand he must first establish what the world is. So he will walk us through the stages and conditions and outer boundaries of human existence, provide a basic introduction to annihilating and fecundating cosmic forces, move freely back and forth in time for lingering glances at birth and death and family and memory as if they were only marginally familiar phenomena, as if no one had ever done any of this before, in a movie at least—and indeed who ever did in quite this head-on fashion? 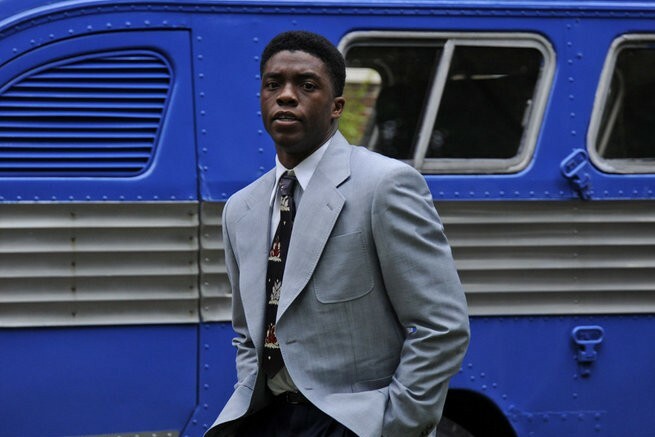 He manages to make childhood (and The Tree of Life is beyond anything else a movie descriptive of childhood) seem a somewhat neglected condition, deserving of reexamination. He is continually trying out different ways of representing acts of perception: the perspective of a child looking up at the adult world, or looking down from some hidden perch, the abrupt rhythm of a child looking quickly at some terrifying outburst of adult anger and then looking away, the sheared-off gaps in editing that can mark a moment as a fresh eternity disconnected from what preceded it. I have not seen the movie yet and Malick is the kind of filmmaker that drives me to distraction. But he always has something interesting to offer, especially visually, and I’m sure our pal Matt B has seen this. If he says it’s good, that’s enough of a recommendation for me. 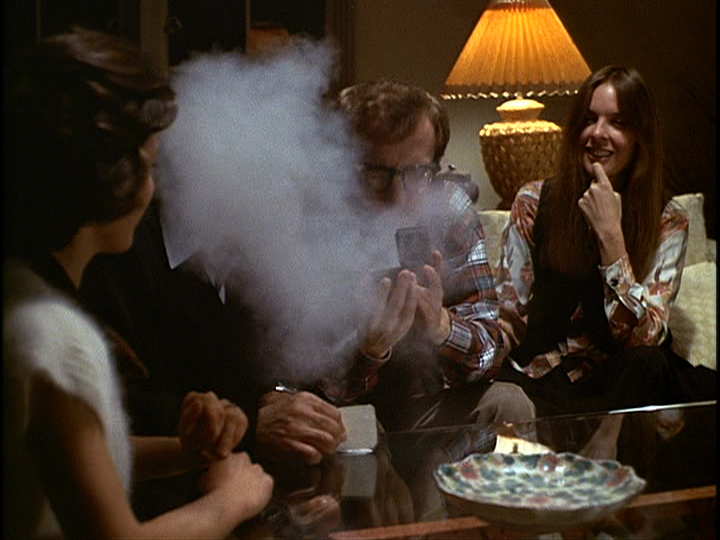 The people in Woody Allen’s Interiors are destroyed by the repressiveness of good taste, and so is the picture. Interiors is a puzzle movie, constructed like a well-made play from the American past, and given the beautiful, solemn visual clarity of a Bergman film, without, however the eroticism of Bergman. Interiors looks so much like a masterpiece, and has such a super-banal metaphysical theme (death versus life) that it’s easy to see why many regard it as a masterpiece: it’s deep on the surface. Interiors has moviemaking fever, all right, but in a screwed-up form — which is possibly what the movie is all about. The movie is so unfunny it’s not even funny. Actually, it’s so unfunny that it’s funny, which is funny because the last thing it wants to be is funny.